Oxycodone is a powerful opiate and overdosing on it can be lethal. Data shows that prescribed opiates cause more than 40% of all overdose deaths. Oxycodone overdose can result in respiratory problems and depression of the central nervous system. Unfortunately, this can be fatal. Other symptoms include sleepiness, nausea, and vomiting. In the case of an overdose, call 911! 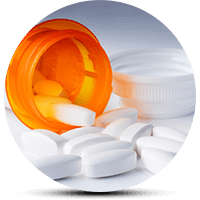 Oxycodone is a popular opiate people use for the treatment of chronic and acute pain. The drug can help many patients lead a pain-free life. However, it can also trigger an addiction and cause death. You will find it in different painkillers, such as OxyContin and Vicodin. Some users will often mix them with Tylenol to achieve the desired effects as soon as possible. What’s more, many people abuse the drug due to its recreational effects. For example, these include euphoria and relaxation. Oxycodone overdose is very common. Prescription drugs caused more than 20,101 overdose deaths in 2015 alone. This was according to data. In comparison, the fatal cases due to heroin abuse were 12,990. However, the media will report on the deaths from heroin overdose not the one from oxycodone. As a result, the public remain unaware of this. It seems that prescribed pain killers are one of the biggest problems of the new millennium. Statistics show that in 2008 prescribed opioids caused around 40% of all overdose deaths. Furthermore, it’s not surprising that prescription drugs have been called the new epidemics. In some cases, we are not talking about a real suicide attempt. However, it may be an accidental overdose. Fortunately, there’s a way to prevent that and people should be aware. They should take the drug properly. In addition, they should be aware of the modes of intake. Users should swallow the immediate or the controlled release forms of the drug. Do not snort, chew or inject it. As a result, you can significantly reduce the risk of an Oxycodone overdose. Oxycodone Overdose: How Much Can Be Lethal? Opioids are dangerous even for experienced users. When prescribed by health experts, the dosage is in agreement with many factors. They are the patient’s history, condition, weight, and age. However, remember that a one time dose greater than 40mg can be lethal. This also equals to a daily intake of more than 80mg. Furthermore, always be aware of the dangers that come with any drug intake. Also, remember that mixing the drug with other psychoactive substances is dangerous. Taking Oxycodone with alcohol, which is a depressant, is not a good idea. As a result, you might get the intoxication you wanted. On the other hand, you might also end up in a coma, or worse, dead. How Does Oxycodone Overdose Symptoms Affect Us? It also leads to changes in the cognitive functioning of the user. For example, confusion and dizziness are common. You may also observe mood swings. The most warning signs of an overdose are severe breathing problems and coma. The slowed breathing happens from a chain of events. First, the brain slows down dramatically. Then, it can’t send signals to the respiratory system. As a result, the breathing process shuts down. Finally, the oxygen level of the body drops. Lack of oxygen can lead to a permanent damage to the brain and the other organs. Therefore, the body faces death as an outcome. Depression of the central nervous system is another severe consequence. Long-term use of the opiate can also be lethal as it may result in heart or kidney failure. As the drug is highly addictive, the cravings can affect the emotional well-being and the social life of the user. The cravings is the result of the mental dependency as well as the physical pain. As soon as you notice any warning signs, do not hesitate and call 911 immediately. It is because they may indicate an Oxycodone overdose. The person who overdosed will need some professional help. This is because the resulting low levels of oxygen can be fatal. However, one of the most significant treatments includes the administration of Naloxone. This is an opioid antagonist drug. Are you or people you love are struggling with Oxycodone addiction? You should find the best treatment option near you. Many in- and out-patient rehabilitation facilities provide treatment for that addiction. By clicking here, you can find the support and aftercare you need. You deserve a pain-free life!